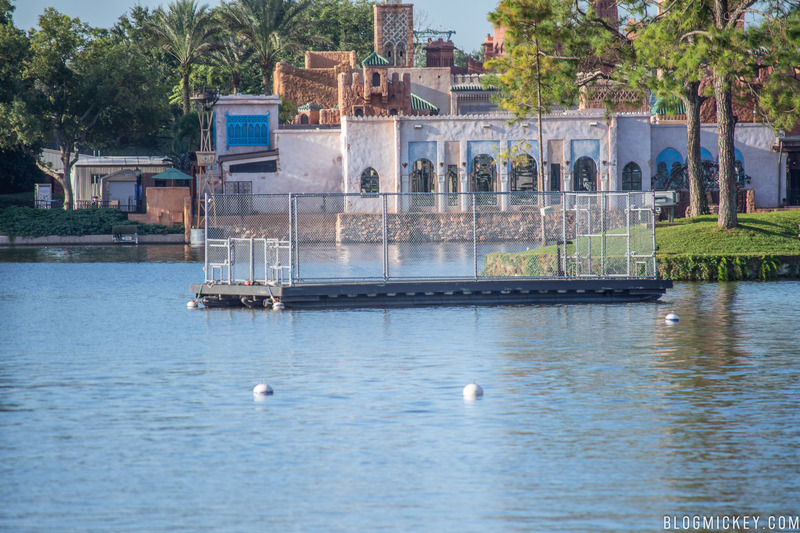 Work has begun at World Showcase lagoon, likely for the Illuminations replacement coming to Epcot next Summer. The work appears to be connected to the island upgrades noted in the original $1.8 million “electrical upgrade” budget. 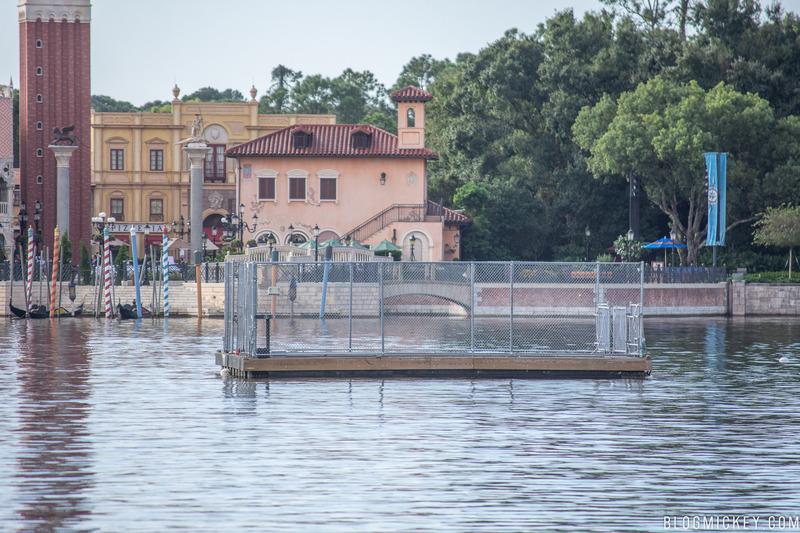 As you can see in the photos below, a turbidity barrier is in place around the easternmost island in World Showcase Lagoon. The turbidity barrier usually foreshadows construction work set to take place around a body of water. In this case, that construction work will likely be the pricey electrical upgrades. 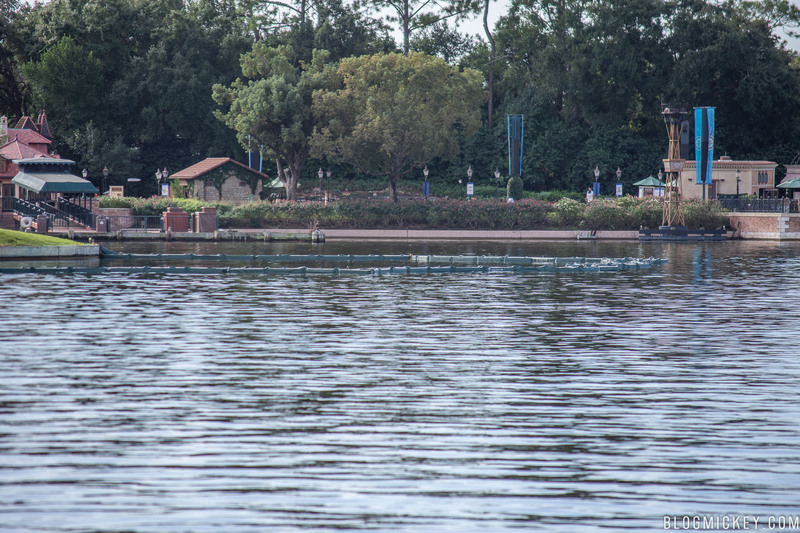 Crews were out on the lagoon this morning inspecting the area just after park opening. 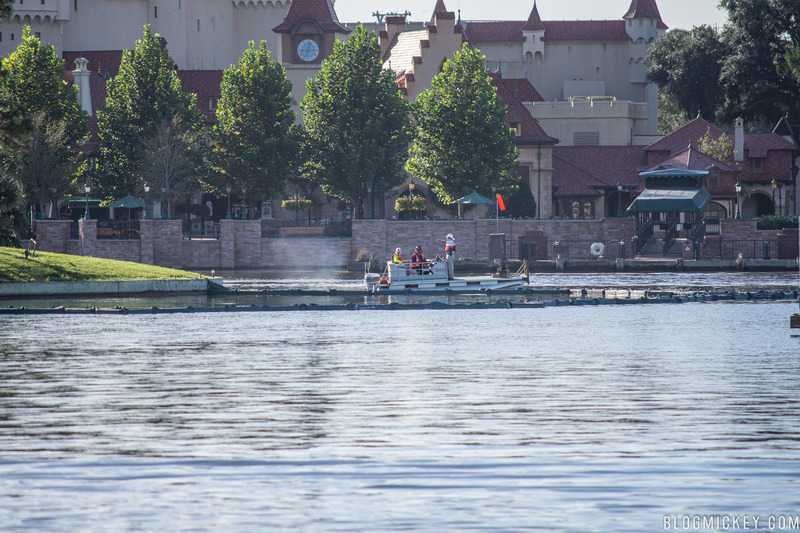 In addition to the turbidity barrier, special event barges have been floated out into the lagoon. 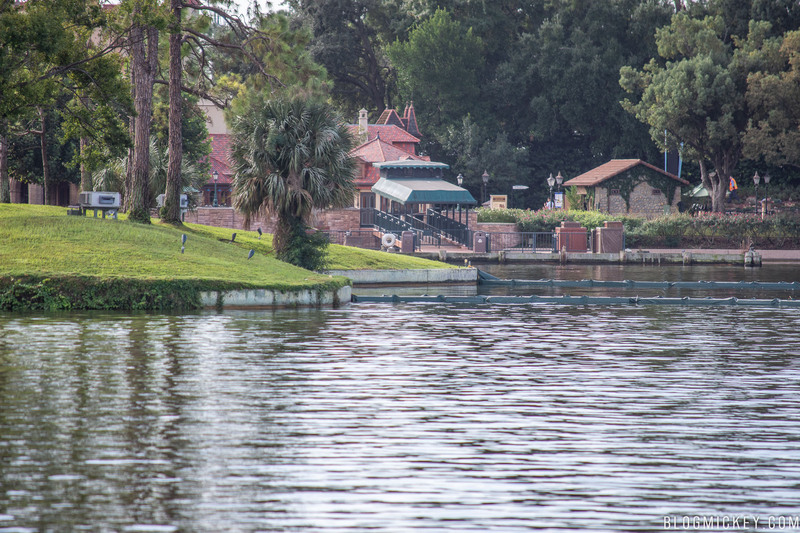 These barges are usually used for the 4th of July and New Years Eve firework celebrations to supplement Illuminations with holiday tags at the end of the show. It’s unclear why these barges are out on the lagoon and they’re not being used for the nightly Illuminations fireworks show. Illuminations will conclude its run at Epcot at the end of Summer 2019.